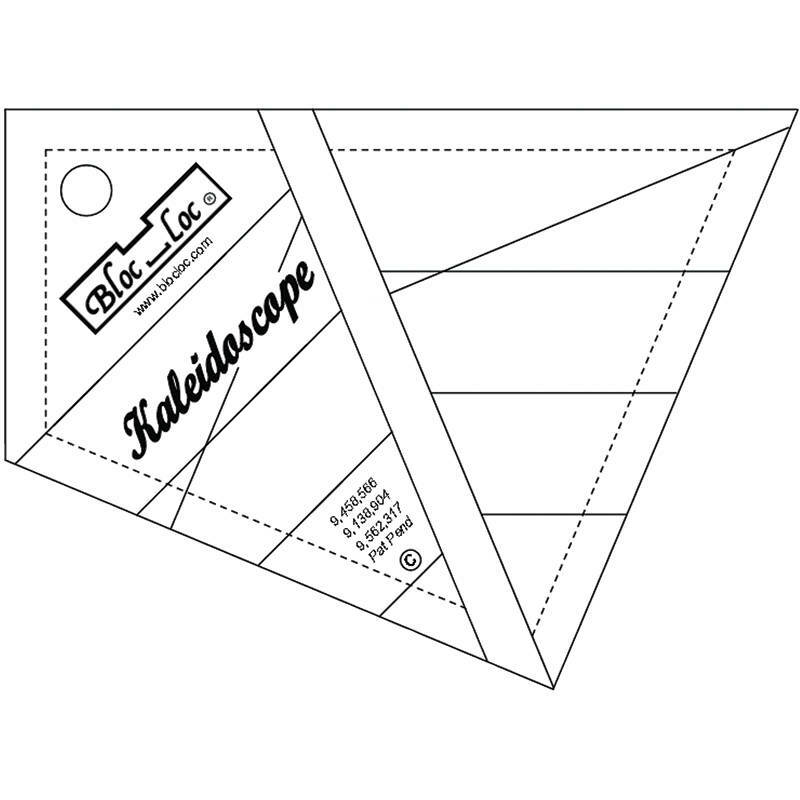 Kaleidoscope ruler with patented groove technology that locks onto the seam allowance to improve cutting accuracy. Each set includes two oversized cutting templates and a grooved trimming ruler. The templates feature several design lines to easily line up on strip sets creating truly stunning blocks.